Jean Roach’s goal, in her art and in her life, is to keep evolving. During her early years as an artist, Jean explored a variety of media, including beadwork and leatherwork, before ultimately specializing in silversmithing. 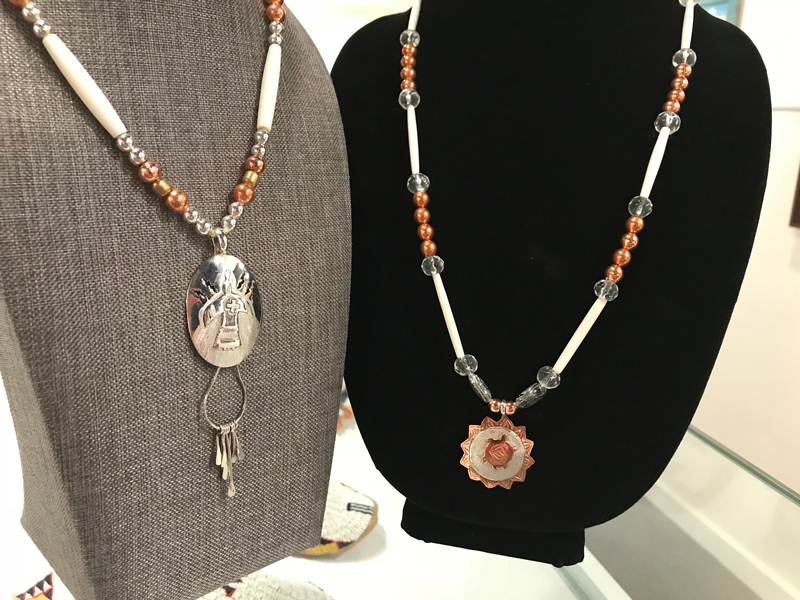 The process of learning this craft was shared with her family: Jean worked with her then-husband, her son, and her sister-in-law to master the complex technical steps of creating silver jewelry. Over the years, Jean’s motivation for creating her jewelry pieces has evolved from being a means of earning a living, to being a creative outlet for expressing her world view. 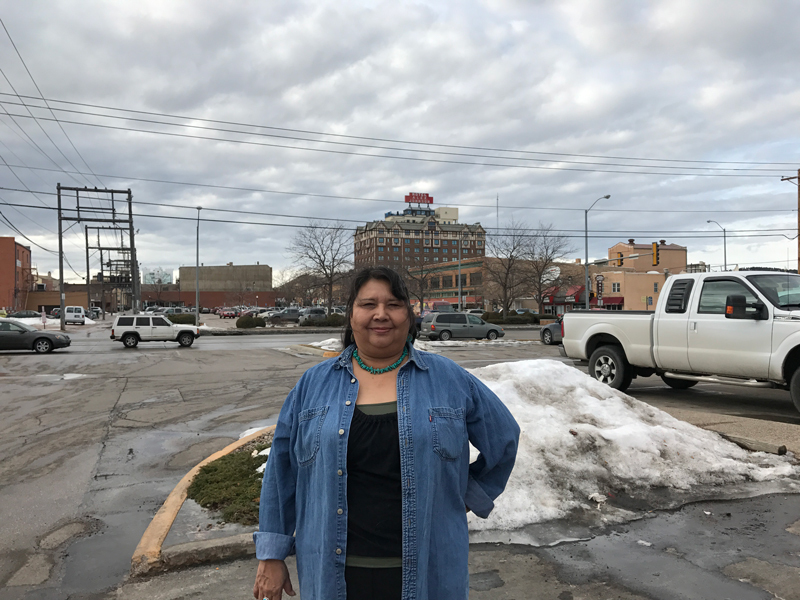 Born and raised in Rapid City, SD and originally from the Cheyenne River Sioux Reservation, Mnicoujou, Jean aspires to represent a Lakota style in her work. “We’re trying to do natural, and we’re trying to do local,” she says. As Jean continues her evolution as an artist, she is incorporating new materials such as copper and fringes, and new techniques like wire wrapping. Visit The Heritage Center’s online gift shop to purchase Jean’s work!